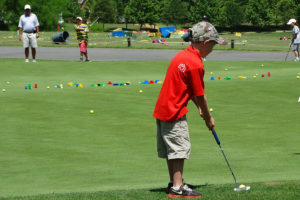 The Highlands Junior Golf Association was established to help guide the junior program, find resources to fund programs and direct its growth. We want the Highlands to be your junior’s home away from home with events throughout the year for all ages and skill levels. There will be camps and academies to acquire skills, leagues and tournaments to experience competition and opportunities to develop friendships and lessons to last a lifetime. 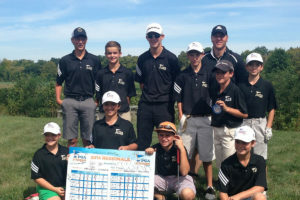 The PGA Jr. League is designed for juniors 13 and under. The program features a team-vs-team format in a structured league providing a popular, less stressful, scramble format. A team of 10-12 juniors will play 5 matches from April through July against teams representing other clubs in the Richmond Area. Each team match will consist of 4 distinct, 2 person 9 hole scramble matches with the ability to substitute players, so everybody gets to play! Winners of the League will have an opportunity to advance to an All-Star team to play in regional and national tournaments. Our Highlands team has won its respective division on multiple occasions with some of our All-Stars reaching the Eastern Regionals in 2014. 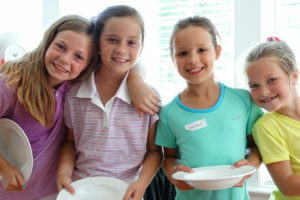 If you are thinking of introducing your junior to golf or they want to brush up on their fundamentals, then join us for a fun week of games, skills and laughs. They will learn the basics of the full swing and short game, with an introduction to the rules, etiquette and golf course management.